....because some days I teach in an English accent and other days I have a southern drawl. 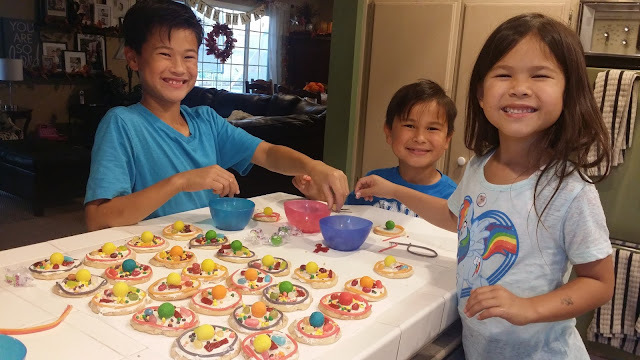 I just wanted to stop by really quick to post a cute (and yummy) little project that I did with my kids. We are learning about the animal cell and my kids were having a lot a little trouble remembering all the parts of it. 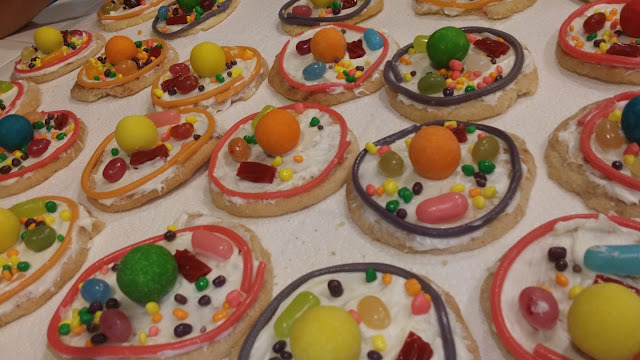 My friend, Janee, posted a picture on Facebook of a cupcake project that she did with her kids (who are also learning about animal cells). My kids and I are not that big on cupcakes...but cookies...well, that's a different story. Our finished product before they gobbled up their cookie.